Every year on April 22 the United States celebrates the birth of the environmental movement or what is known as Earth Day. 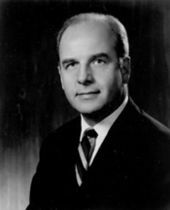 In 1970 Wisconsin Senator Gaylord Nelson started Earth Day after witnessing the effects from the massive oil spill one year earlier in Santa Barbara, CA. His efforts led to 20 million Americans flooding the streets, parks and auditoriums in rallies across the country demanding a healthier environment on April 22, 1970. Today Earth Day stands as a reminder to all Americans of how important it is to take care of our land, air and water. God created the environment and all the animals in it for us and it is our responsibility to take care of it. I also believe that a healthy environment helps us maintain physical health and our children‘s future depend on it. Have you ever paid attention to how much you throw in your garbage and what exactly goes in it? According to the EPA, in 2010, Americans generated about 250 million tons of trash. That is approximately 4.43 pounds of garbage per person, per day. That is a lot of trash! Most American families, mine included, use paper towels to clean up spills and messes around the house. If you look through my garbage can about 40% of what is in it is used up paper towels. With this in mind, I was excited to learn about Bambooee, reusable towels. Bambooee makes joining the anti-paper revolution by boycotting paper towels super easy by providing a certified organic, reusable alternative. It’s easy to make the switch. Made of earth-friendly bamboo, Bambooee perforated towels hang on any standard paper towel dispenser without hanging the environment out to dry like regular paper towels do. Made of organic bamboo, Bambooee, the paper towel replacement, advances both of these eco issues. Unlike the trees from which traditional paper towels are made, Bambooee is fabricated from the world’s fastest-growing plant, Bamboo, that requires no fertilizers, pesticides or insecticides. Indeed, it is harvested using sustainable and green practices that allow the bamboo to continue to grow. Bambooee’s eco-friendly benefits don’t stop there, though. Because it can be machine washed and reused 25 times or more, one roll of Bambooee replaces 60 rolls of the average paper towel. In the process, it reduces waste as well as the carbon footprint humans leave behind. Given that 3,000 tons of paper towel waste is produced each and every day, if every human being on the planet were to switch to Bambooee, over one million tons of such waste could be eliminated every year. Bambooee is also certified organic and biodegradable. I love Bambooee towels. Ever since I started using them I am emptying my garbage less often. For more information about Bamboee reusable towels and to purchase them online visit www.Bambooee.com. *Disclosure: I received a roll of Bambooee reusable towels in exchange for this review. All opinions are accurate and 100% mine.